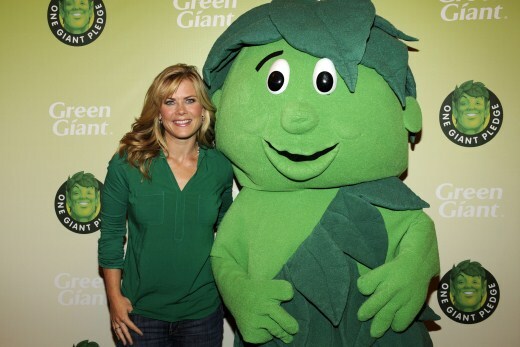 Celeb Baby Laundry was honored to get a chance to interview The Biggest Loser‘s TV host, Alison Sweeney while she made “one giant pledge” to get families to eat one more vegetable a day. In the interview, the mother of two opens up about motherhood, staying active and teaching her children about healthy eating. Sweeney who describes the best thing about being a mom as “everything” insists balance is the key to juggling a busy career with motherhood. “Balance is the key. It’s tough because we have long shoot days sometimes or occasionally I have to travel for the show. But I do the best I can to balance out my work time with my family time, and if I have a really heavy work week, I make it a point to stay home on the weekend, and really give the kids my attention. We have a lot of quality family time together. And it all balances itself out in the end,” the star tells Celeb Baby Laundry. Sweeney who once struggled with her weight admits losing the baby weight after becoming a mother was not easy. However, planning ahead allowed her to maintain a healthy diet. “For me, planning ahead is key. I buy stuff on the weekend and cut up fruits and veggies to take to work with me during the week. That way I have healthy snacks on hand, and am not tempted to go to a vending machine,” Sweeney add when asked how she eats healthy,” she adds. Since having children, the actress has tried to teach her children how to eat healthy by making vegetables accessible. Besides offering lots of veggies to her kids, Sweeney tries to keep her kids active. Are you going to take the “one giant pledge”? How do you get your children to eat more veggies?